You know what? E-commerce nowadays is more and more popular, and a question is raised now “ What can Magento sellers do to drive more and more profit for their stores?” To give online vendors the exact answer, Landofcoder is happy to introduce you a golden key- Magento 2 RMA Extension. Different from other extensions that we’ve mentioned in previous blogs, this stop solution will not directly drive your sales and boost your profits, however, it is an extension that will help to subtract from it if not dealt with properly. Return merchandise authorization (RMA) is a pretty complex process especially when it comes to E-commerce market. 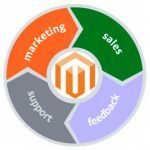 Putting yourself as a Magento 2 store owner and you are separated from your customer with a screen and a distance of thousand miles. 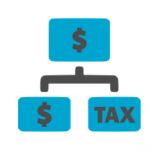 How can you control your returns easily and effectively? Let’s discover Landofcoder Magento 2 RMA Extension- the most suitable extension ever to help you manage return simply! For some situations, sellers don’t want to choose all items available in the store to get returns. So it’s important to have a function that helps them to pick one or some selected items for requests RMA. And this function now is updated by Landofcoder Magento developers. You now are free to choose one or even more items to send RMA request as your demand. 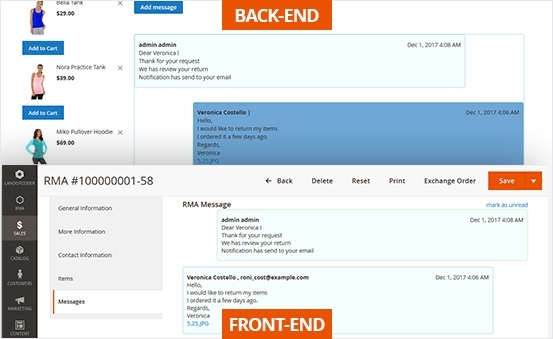 With Landofcoder RMA Extension, customers can easily submit one, two or even several RMA requests through forms which show and works perfectly on any devices and screens. 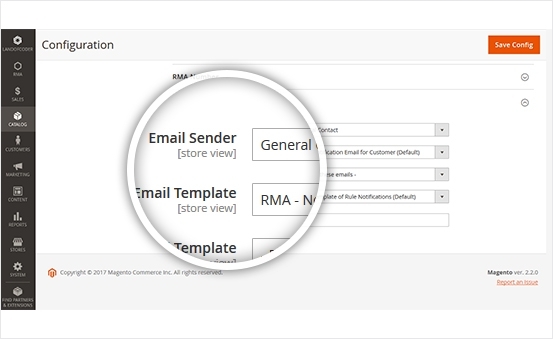 Furthermore, this Magento 2 RMA Extension has a number of pre-made templates so store admins can use them right away or even can adjust them as their desire. For some circumstances, there will need a conversation between customers and admins on site. This extension is fully supported to give sellers to chat with their customers directly. Moreover, the chat box also supports you to send images, attach files as well as document, which will help you a lot in discussing the RMA requests. 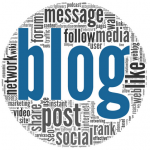 It’s important for store admins to manage and know deeply about all the statistics of stores. 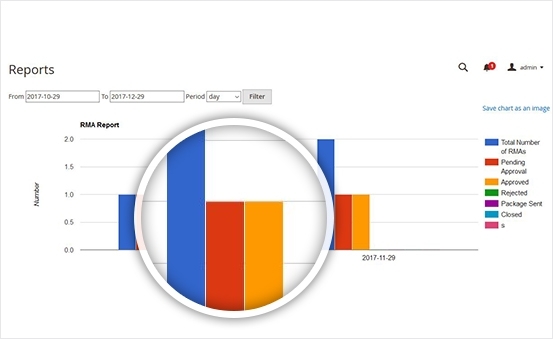 This RMA Extension will help you to keep track of all your return activities via many kinds of vivid charts. Moreover, filter will be utilized in this function to illustrate results based on types of products, period and reason. Landofcoder RMA Extension will help you to not miss any activities of your site even when you online or offline by sending you or your customers notification when having any changes on your site about RMA requests. Notification will be sent via emails when you’re offline and via chatbot when you’re online. So you will not miss any notification with this amazing extension! As mentioned before, the return process is quite complicated and hard to follow. So admins’ task is to make it as easy and simple as possible. 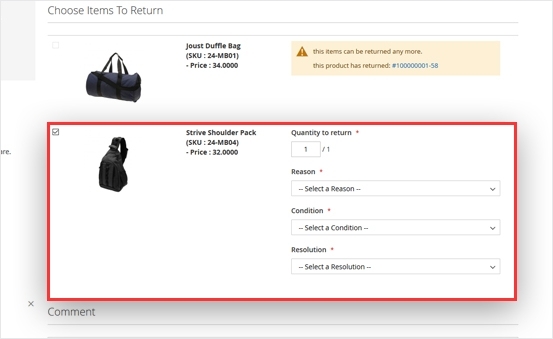 By displaying the Packing Slip, Confirm Shipping Buttons and Shipping Label, the return process will become much more well-organized and easier. The more stores joining in your marketplace, the more profits you can earn. Knowing that deeply, Landofcoder RMA Extension allowed supporting multi-store. It will be easy to control requests as well as statuses and switch store or website in Admin Panel. 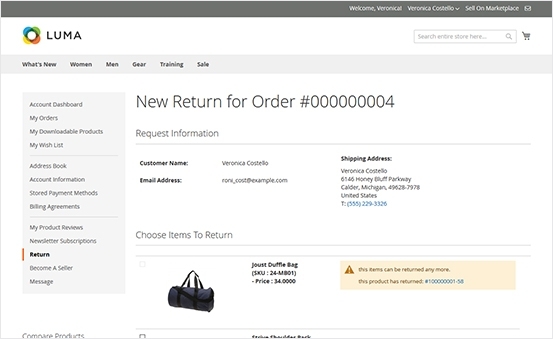 The Return Merchandise Authorization System will be controlled fully with Landofcoder RMA Extension. All order status such as Complete, Payment Review, Suspected Fraud, Paypal Reversed are under control perfectly. 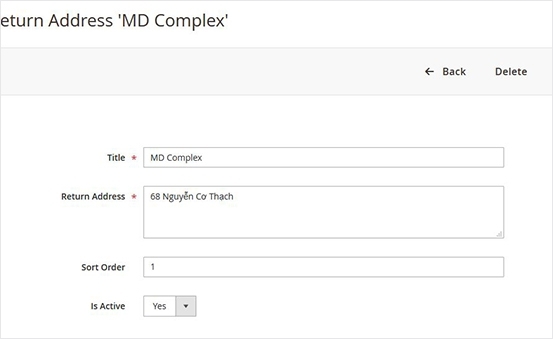 With Magento 2 RMA Extension by Landofcoder, you can insert the return address within a click. Add return address, as well as sort order, are quite easy. 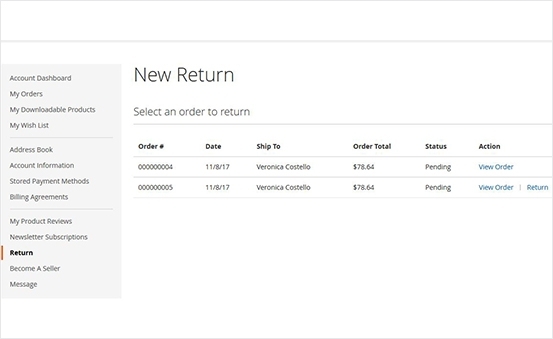 In backend, you can view all returns status with ease by accessing to “Return” field. In here you can see new return, including Order, Date, Ship to, Order Total, Status ( Pending or Done) and Action. You can totally view order easily by clicking on the link below the Action box. 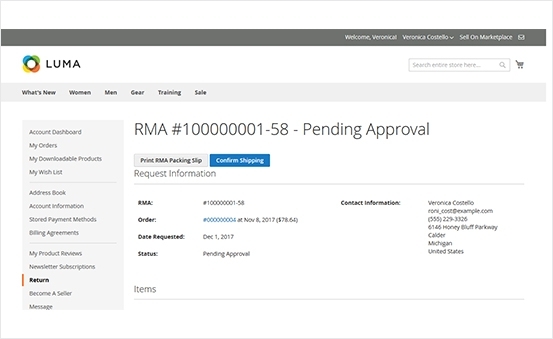 With RMA Extension from Lanofcoder, you are able to manage and review all requests from one place. This function will help you to save so much time because just in one place, you totally can do most of steps in managing RMA requests. Magento 2 RMA Extension by Landofcoder is quite easy to assign to do follow-up tasks. 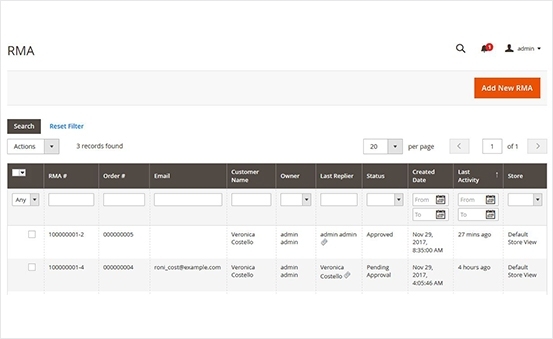 To save time, you can set conditions and actions as well as email notifications as your demand. Plus, you can activate or deactivate the rules right away with only one click. The frontend of Landofcoder Magento 2 RMA Extension is supported with a vivid interface. Customers can experience many types of menus appear on one page such as vertical and horizontal men. Furthermore, This will help the page more attractive and draw more and more customers’ attention. 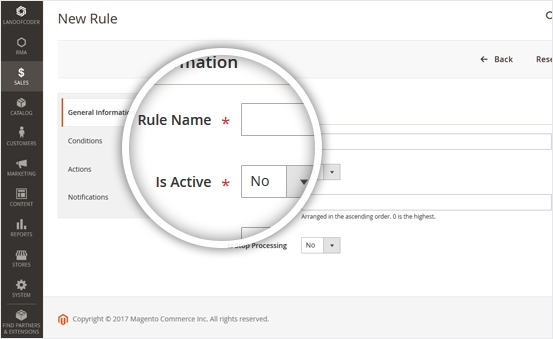 If you want to access Landofcoder Magento 2 RMA Extension, you need to have an account and sign in to see entirely all functions. 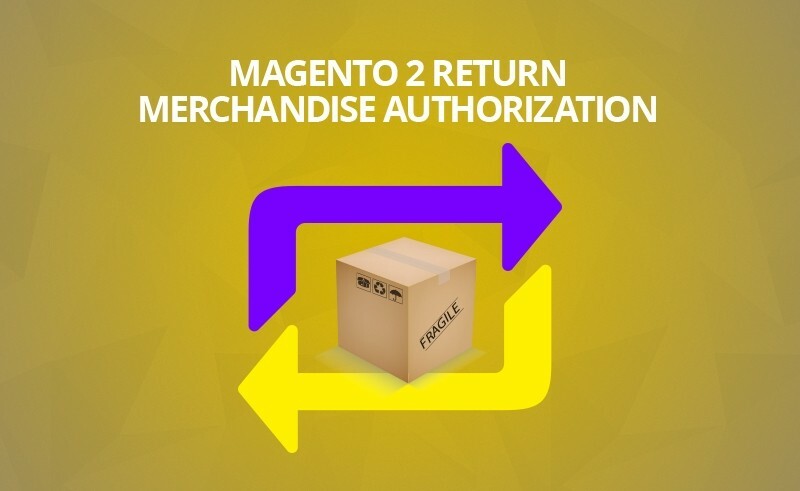 Magento 2 RMA Extension is one of the best extensions developed by Landofcoder that directly contribute to the work of boosting your store fame as well as profits and drive more sales. 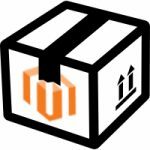 With lots of amazing features such as Selecting Return Items Flexibly, Several RMA Can Be Created At Once, Sending message fastly, Instantly RMA Activity Notifying, Easily to Pack Slip, Ship Label, and Confirm Shipping Buttons, etc, Landofcoder Magento 2 RMA Extension is in the must-have collection that each Magento store owner should have! This extension now is available with ONLY $149, coming with us, you will receive FREE SUPPORT, 12 MONTH of GUARANTEE and FREE LIFETIME UPDATES. Let’s develop your website with Landofcoder Magento 2 RMA Extension!